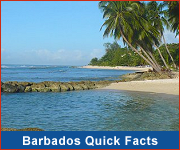 Barbados is the ideal location for business conferences and corporate meetings. Our Lloyd Erskine Sandiford Centre has won several awards for the Caribbean's Leading Conference Centre. Conference facilities range from large meeting halls for trade shows or conventions to smaller rooms for workshops and group meetings. Hotels and conference centres will provide most of the equipment required and will assist in locating support services for your meetings. Special group rates are available at most hotels. 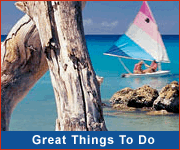 And when business is over, there is all of Barbados to enjoy: beautiful white beaches, a variety of watersports, duty free shopping, island safaris, underground caves, submarine tours, swimming with turtles, cultural dinner shows, top class restaurants, and exciting nightlife. 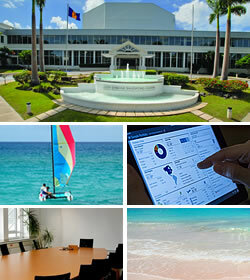 Barbados provides the right opportunity for a mix of business and pleasure! 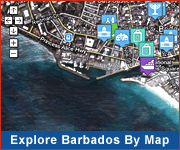 Several hotels in Barbados offer conference and convention facilities. There is the added convenience of staying in the hotel where the conference or convention is being held. For smaller conferences/conventions (less than 150 people) these facilities are ideal, but for larger meetings a Convention Centre is recommended. The Crane Residential Resort Crane, St.Philip Pavilion Room (2,250 sq. ft) - One room suite with partial ocean view. Seats 100 people. Crane Village Conference Center - Total of 3 rooms(2,712 sq. ft): Eastbourne, Fortescue, Bascombe. Accommodates 120-150 persons combined. Accra Beach Hotel Rockley, Christ Church Khairoon - up to 250 persons. Can be converted into two (2) rooms holding up to 80 persons each. Karissa - up to 60 persons. The Leanna - up to 26 persons. Savannah Beach Hotel Hastings, Christ Church Sophisticated conference and business centre. Offers 5,000 sq. ft. of meeting space with 5 flexible meeting rooms. Accommodates up to 150 - 250 guests in its largest ballroom area. Event and function planners can help you to arrange your conference/convention - from a choice of venue, to banquets and receptions. These companies have the knowledge of Barbados and the experience in conference planning to ensure that your conference is a success. 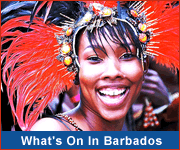 Function & Event Planning - More about function and event planners in Barbados.